"Doc" Selvidge has described the 1960s as "The Soaring Sixties." They certainly were for a man of his enthusiasm, energy and talent. He was a scientist, engineer, meteorologist, professor, business executive, entrepreneur, aviator and musician. He earned his engineering degrees from the Massachusetts Institute of Technology and Harvard University. In 1936, as a graduate student, he was a member of the Harvard-MIT Solar Eclipse Expedition to Siberia. While at MIT, he held the school record for the 200 yard low hurdles. As a graduate student at Harvard, he played on the rugby team. He later spent 15 years officiating high school and college football games in Michigan and California. He taught at both Harvard and Kansas State Universities. During World War II, he played a key role in the development of the radio proximity fuse. This weapon component, along with the atomic bomb and radar, was considered one of the three greatest technological achievements of the war. It was a major factor in the success of many Allied campaigns, particularly in the Naval war in the Pacific. What about the man as an aviator? He learned to fly in his home town of Columbia, MO in 1927 in an OX5 powered Waco-9. 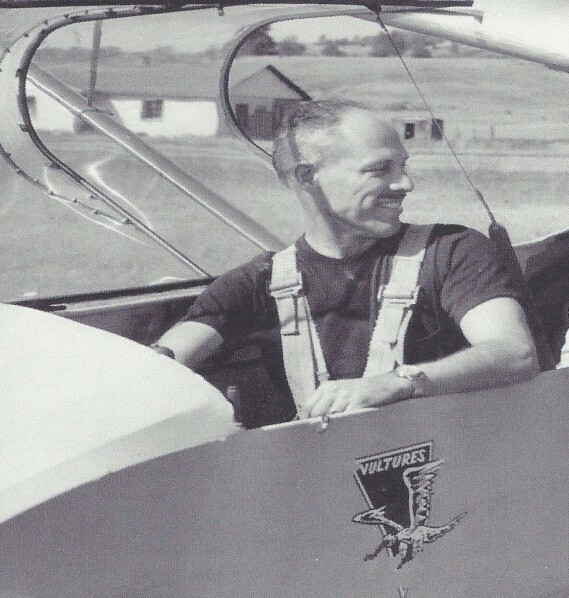 His first glider ride came in the late twenties also - a flight from an auto tow across the airport at an altitude of ten feet in a Waco Primary. His education interrupted his flying until 1944 when he again became active. In 1954 he joined the Vultures Soaring Group in Detroit and earned his "C" Badge the following summer. He became associated with the Michigan Soaring Association and served as its secretary. He held a Commercial Pilot's Certificate with ratings for Glider and Single Engine Land and Sea and a Glider Flight instructor rating. 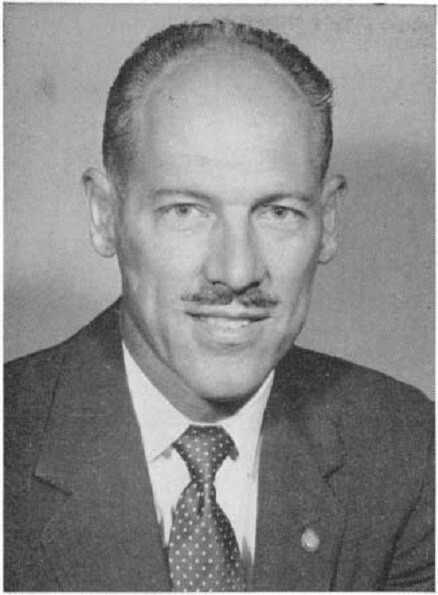 In 1946 "Doc" Selvidge began a 13 year career as director of Special Products Development for Bendix Aviation Corporation based in Detroit. He often traveled to California for Bendix searching for and evaluating new products. In 1959, through his California contacts, he became executive vice president of Meteorology Research Incorporated (MRI), a California firm founded by Dr. Paul B. MacCready. During the 1960s, MRI conducted many research projects near Flagstaff, AZ flying instrumented aircraft through summer thunderstorm clouds around the San Francisco Peaks. The move to California gave him the opportunity to enjoy the outstanding mountain and desert soaring of the area and, also to be more active in the management of the Soaring Society of America. He was SSA treasurer in 1957 and 1958 and SSA President in 1959 and 1960. He published many articles and items in Soaring magazine from 1955 to 1982. In addition, he also authored a chapter on Equipment in the American Soaring Handbook. "Doc" Selvidge flew his Schweizer-built prototype metal wing 1-26 in the 1958 Bishop Nationals, placing 16th. He jointly owned a Schweizer 2-22C with his next door neighbor, Hall of Famer Lt. Cdr. Ted Sharp. "Doc" Selvidge "retired" to Sedona, AZ in 1969 where he owned and operated Sky Mountain Aviation at Sedona Oak Creek Airport offering a range of aviation services. He also, with partners, established the Sedona Land Company which developed thirteen residential subdivisions in Sedona. He was an accomplished musician on several instruments, most particularly the trumpet and pipe organ. He was a member of the Sedona Concert Band and its director for several years. In an editorial published in the January 1960 issue of Soaring entitled The Soaring Sixties, as he assumed the office of President of SSA, Harner Selvidge writes, "Over half of the present members of SSA did not belong three years ago. Many have joined in the last year. We are glad to have you with us. This is your Society as much as ours and the old-timers don't have any monopoly on good ideas. Let's hear how you think SSA could be improved." The 1960s surely did start an exciting time for the sport soaring as membership rose from about 3,500 to 11,000 in that decade and continued to a maximum of about 16,000 in 1980. 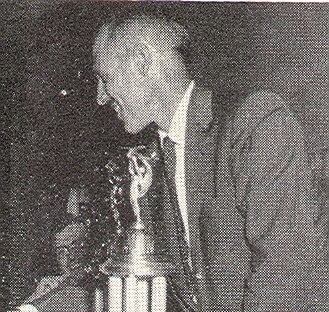 Harner Selvidge received the Eaton Trophy in 1961 and the Exceptional Service Award in 1972 and 1995. He holds Silver #238 (1955), Gold #68 (1957) and Symons One Lennie #264.